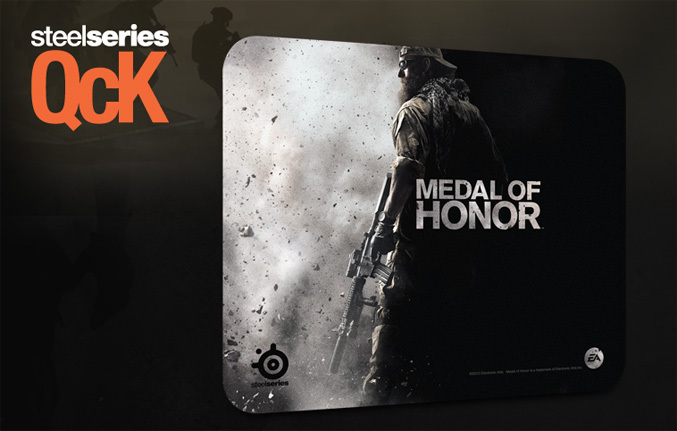 SteelSeries releases a Limited Edition line-up of licensed gaming peripherals for the Electronic Arts’ first person shooter Medal of Honor. 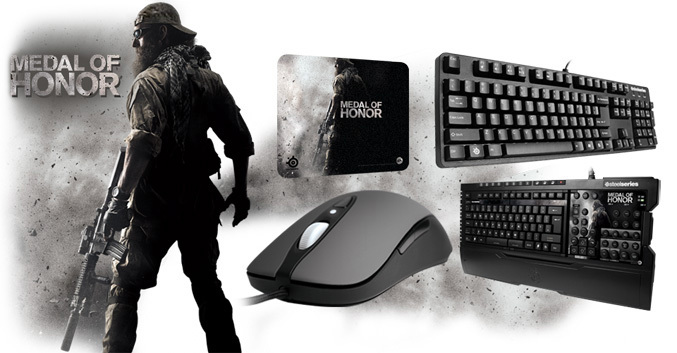 The range include customized versions of their 6Gv2 and Shift keyboard, Xai Medal of Honor Edition mouse, QcK Warrior Edition mousepad and SteelSeries 5Hv2 Spectrum and 5xb for Xbox 360 headsets. 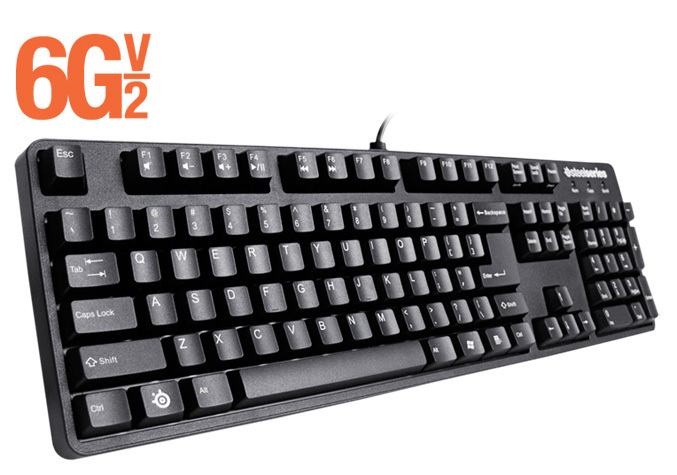 The SteelSeries 6Gv2 Medal of Honor Edition keyboard is ergonomically designed to ensure ease-of-use, has anti-ghosting feature, 18K-Gold plated mechanical switches and USB to PS/2 adapter, and is available for MSRP $99.99 / €79.99. 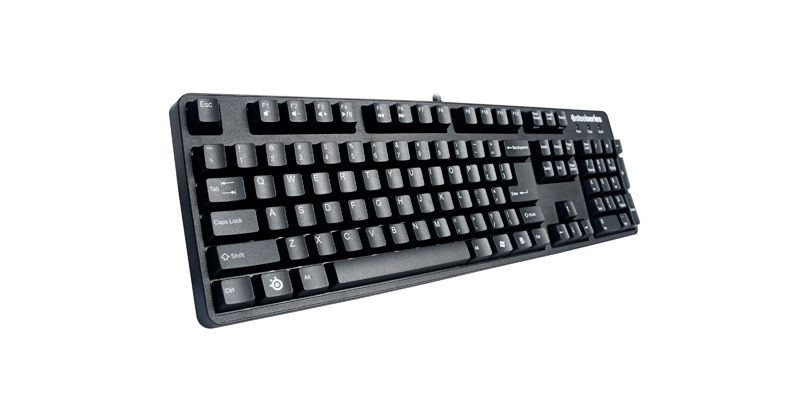 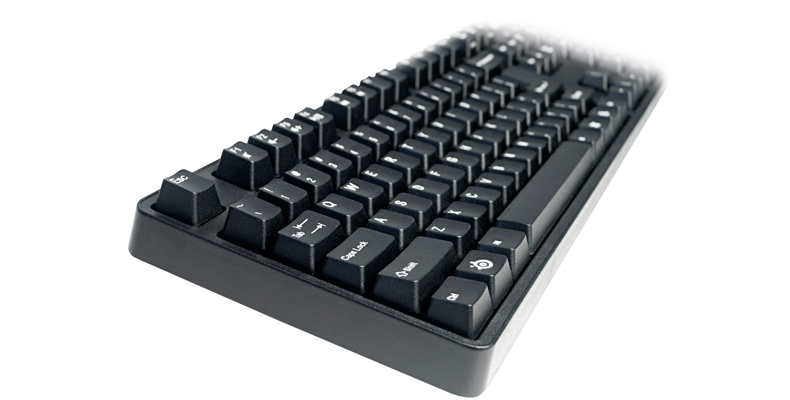 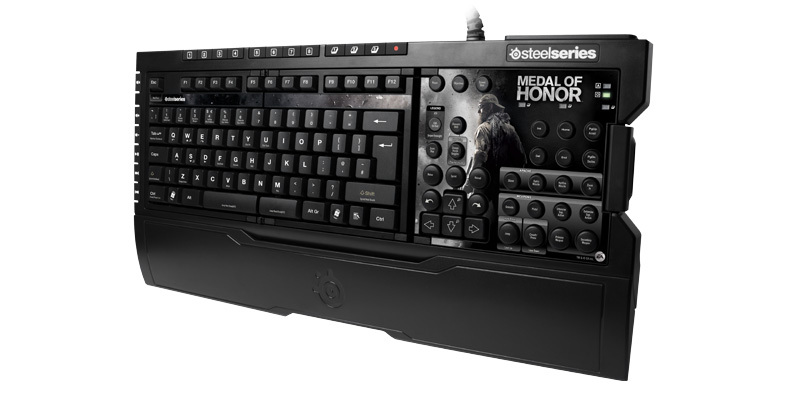 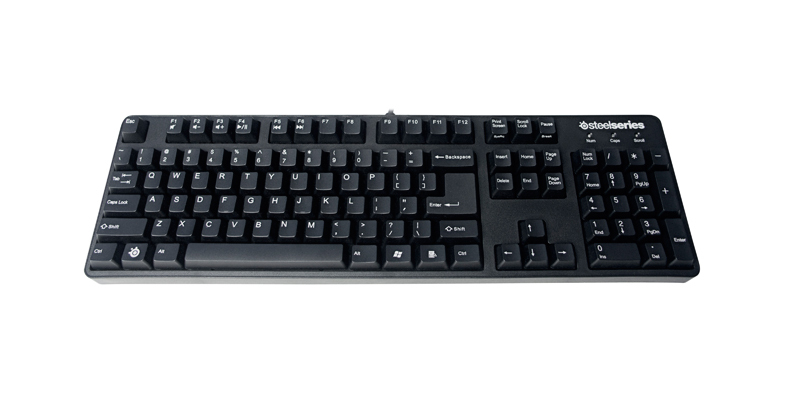 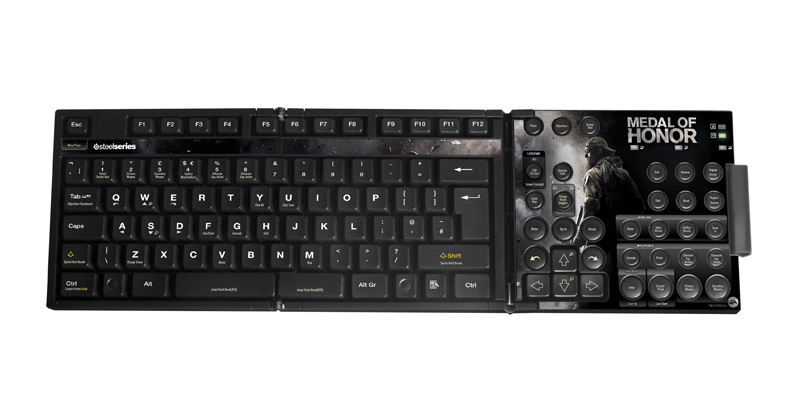 The SteelSeries Shift Medal of Honor Edition Bundle, which is available as base Shift keyboard, providing an intuitive button layout, labeled keys and the ability to fully customize and remap the entire keyboard in multiple layers. 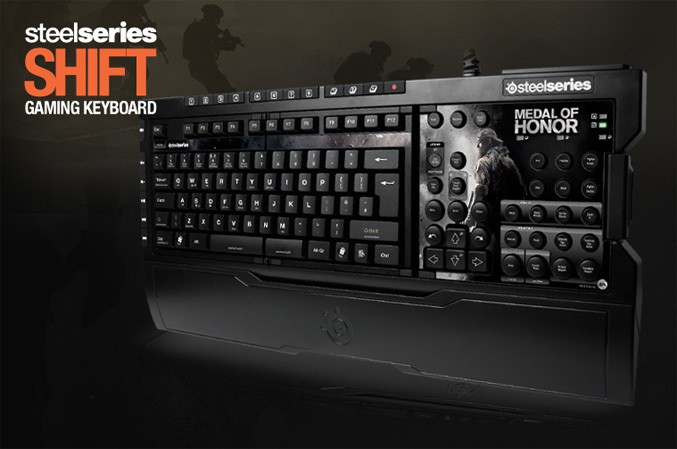 Available for $99.99 / €99.99 MSRP or the Medal of Honor Edition Keyset only for $24.99 / €24.99. 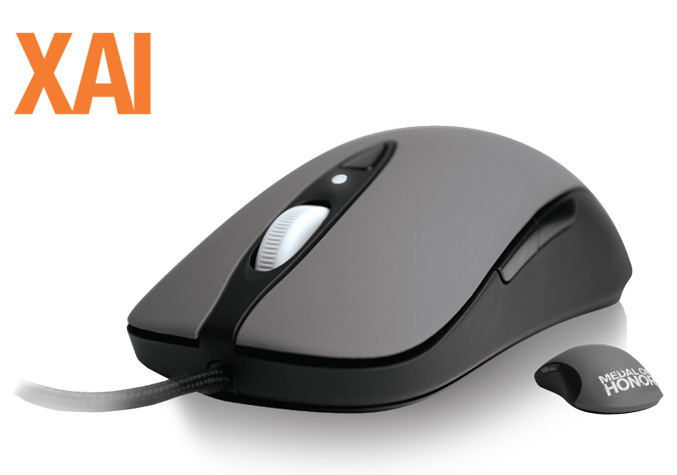 The “aiming weapon” in the line is Xai mouse, which is skinned with Medal of Honor graphics, has seven programmable macro buttons, Gold plated USB 2.0 connector and LCD display on the backside of the mouse -price$89.99 / €79.99. 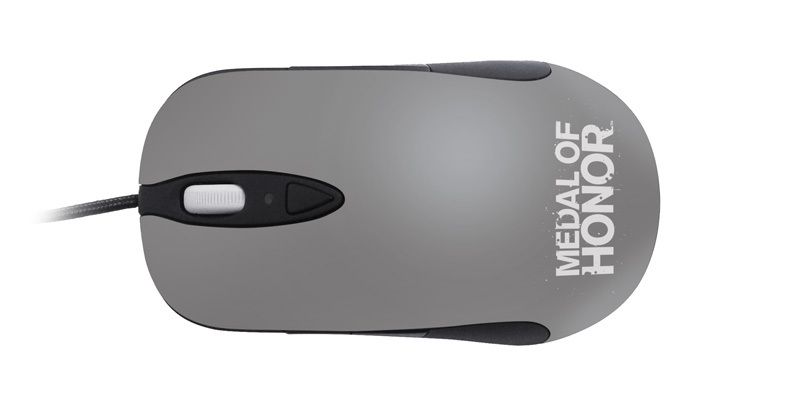 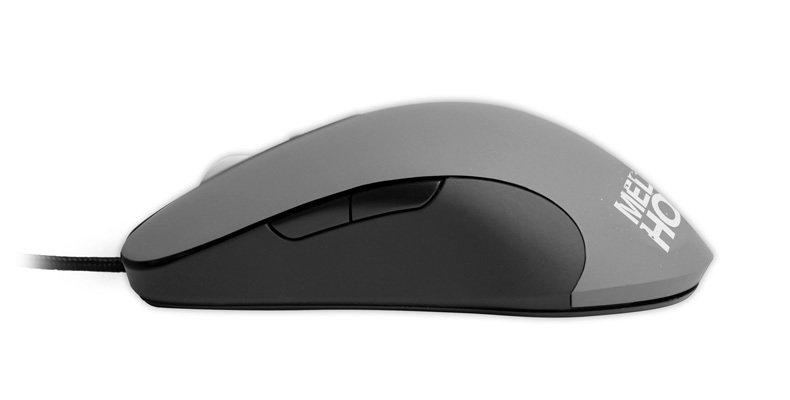 For better accuracy, SteelSeries offer a company for Xai mouse, theQcK Medal of Honor Warrior Edition, made of a high-quality cloth with an optimized textured surface and cost $14.99 / €14.99. 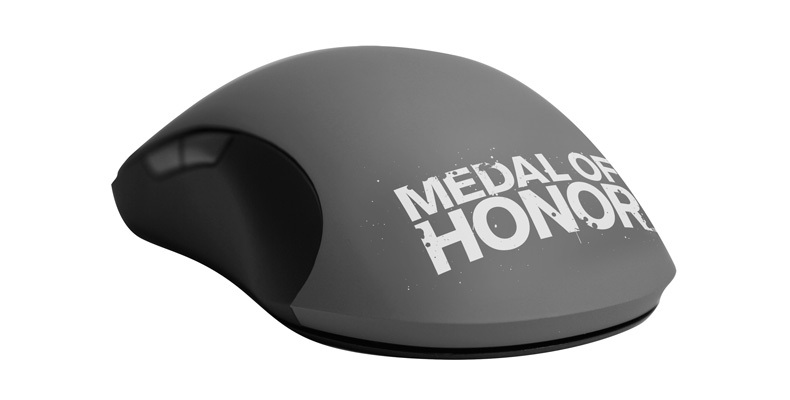 The MOH Edition Audio includes SteelSeries 5Hv2 PC gaming headset, which has cloth padded ear cushions, a retractable microphone and can be dismantle into three separate. 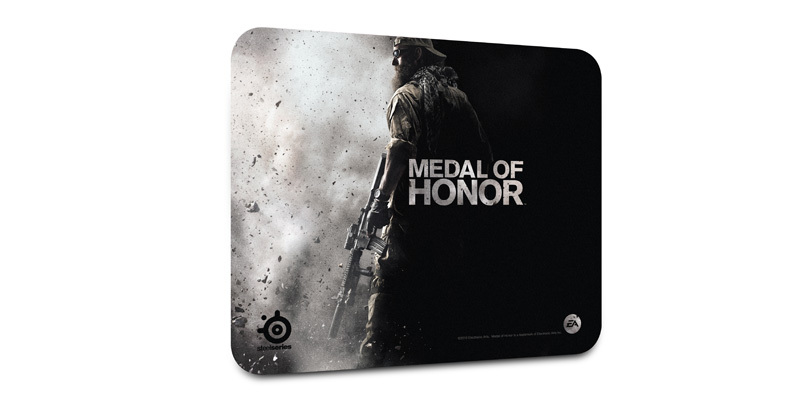 The other propose is the SteelSeries Spectrum 5xb Medal of Honor Edition for Xbox 360 players with AudioMixer, which provides easy access to independent audio and voice controls. 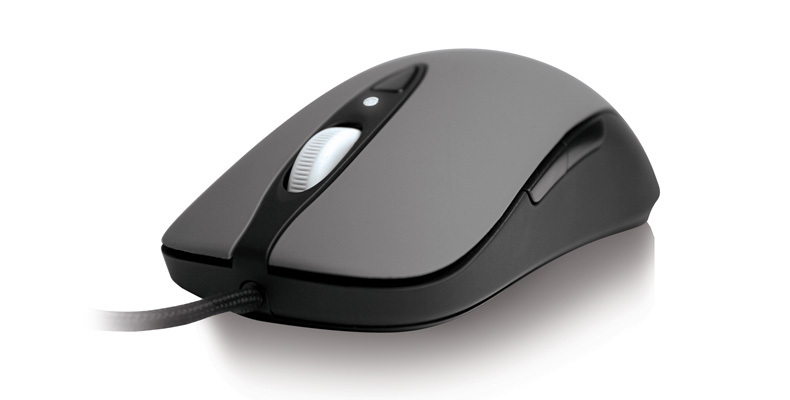 Both will be available in early Q1 2011.